Just a couple of weeks ago, my regular Hypermarket which I visit for grocery shopping had an offer for broccoli. 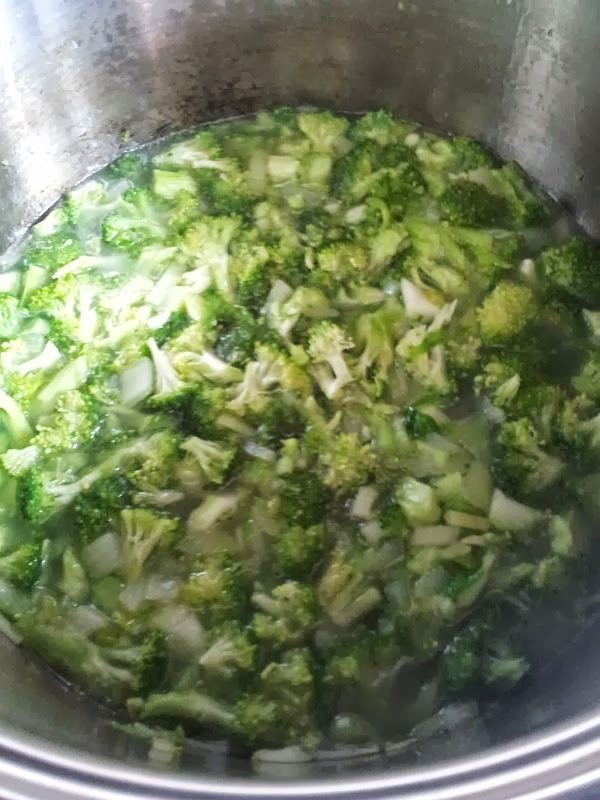 So I bought two whole ones and finally decided to make a soup out of it since its the easiest to make use of them without getting sick of eating broccoli. And because I had leftover buttermilk from my fried chicken, I also decided to incorporate it into this dish. 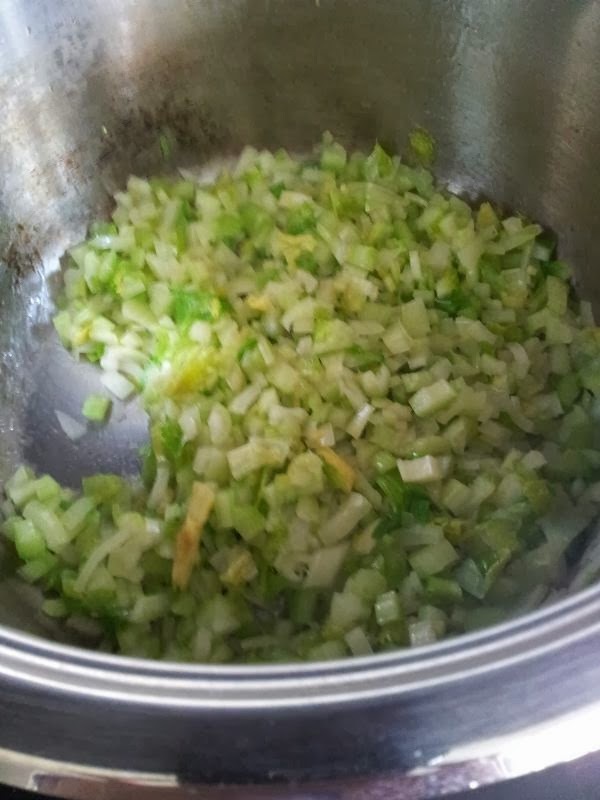 It tasted so good and I would definitely cook this soup again as its easy and tasty! 1) Put the butter into the soup pot and start adding in the onions. Fry till fragrant and translucent. 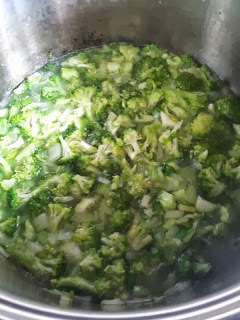 3) Add broccoli and the stock. Cover them completely with the stock/water. Let it cook and simmer for about 20 minutes. Add a pinch of salt. 4) Use a stick blender to blend everything in the pot. If not, you just need to transfer the soup into the blender. 5) See if you like the thickness of the soup. Surprisingly, when I checked mine, it was already quite ok. Not as watery as I thought it might be. So I did not add flour to my soup at all. 6) Add buttermilk to the pot only at the last minute of boiling before serving. The buttermilk thickens it up a little. Add salt and pepper to taste. 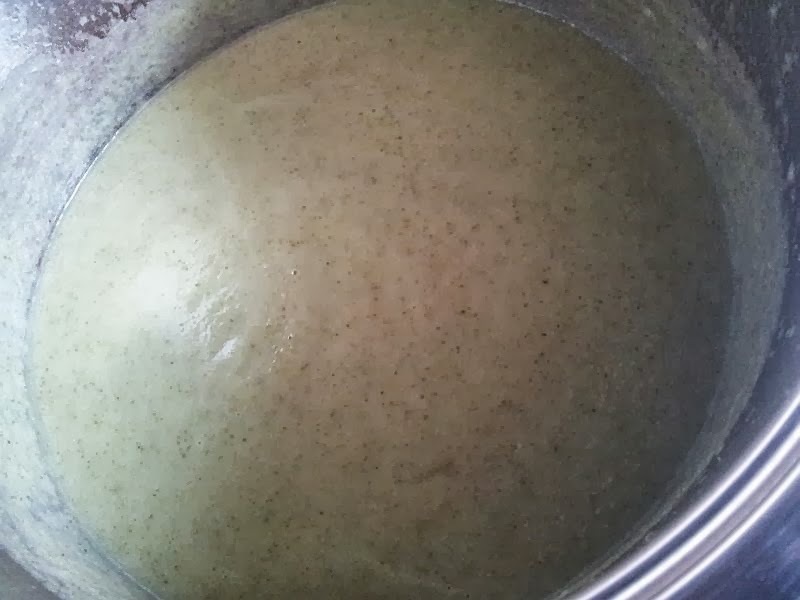 If you prefer a thicker version of the soup, you can just add flour to your milk before pouring it in. Very easy to make! Enjoy! Perfect with homemade garlic bread!